^ 崎谷満 (2005.8). “『DNAが解き明かす日本人の系譜』”. 科学 (勉誠出版). ^ 。 Michael F. Hammer (2005) (PDF). 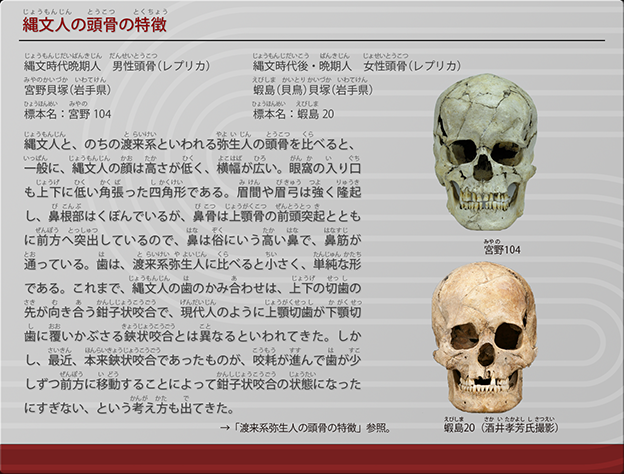 Dual origins of the Japanese: common ground for hunter-gatherer and farmer Y chromosomes. The Japan Society of Human Genetics and Springer-Verlag. http://www.eva.mpg.de/genetics/pdf/Japan.pdf 2007年1月19日閲覧。. ^ The HUGO Pan-Asian SNP Consortium (December 2009). “Mapping Human Genetic Diversity in Asia”. Science 326 (5959): 1541-1545. doi:10.1126/science.1177074. ^ 溝口優司 (2010.04). “日本人形成論への誘い─シナリオ再構築のために”. 科学 (岩波書店).